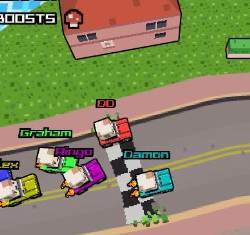 Take to the streets of Dog City and get racing. As you drive around the city you'll find shops to purchase upgrades and street races to enter. 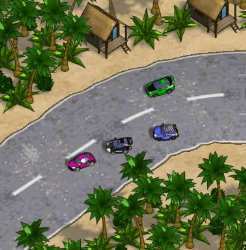 Control the car using the ARROW keys. Press Z to use boost, X to use an item. Alternatively, use the WASD keys to control the car, K for boost, and L to use an item. 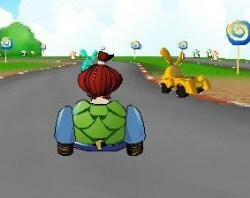 Use the M key to toggle the map, SPACE BAR to enter races, enter/exit the shop, and to skip the storyline. 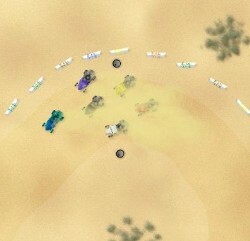 Click here to send Big Pixel Racing to your friends using your default email program.